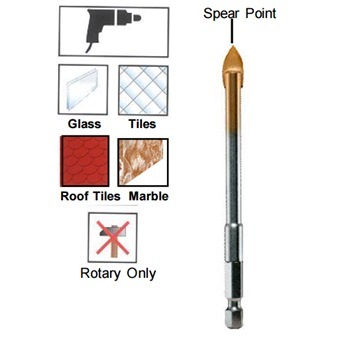 For drilling sheet glass, mirrors, bottles, porcelain, ceramics etc.Spear point reduces cutting pressure for cleaner holes. 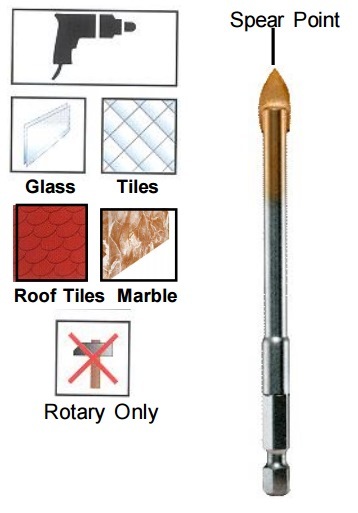 ALPEN GLASS DRILL BIT (AUSTRIA) is rated 2.5 out of 5 by 2. For drilling sheet glass, mirrors, bottles, porcelain, ceramics etc. Rated 4 out of 5 by chungbro from Drill Bit I bought this product recently and find it is working fine.